Ever bought anything professional or expensive because you thought it makes things better? I’m sure you have. I have too! I bought my DSLR (Canon EOS 1000D) a year and a half ago for blogging purposes, but was surprised to find that my pictures didn’t magically improve just because I had the camera. Unfortunately there was a lot more to do and have to produce great blog pictures. After writing this 10 tips to blog photography, I thought I could extend that by giving you the 5 tips I’ve been giving to lots of different bloggers over the past few weeks. Nothing pains me more than to see you lovely guys spend all that money on a great camera, but not really knowing how to get great pictures! 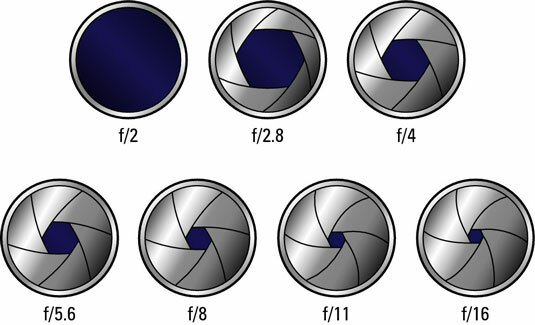 - Av mode: prioritizes the aperture (also called F-stop, which you will learn about in tip #1) – this means the shutter speed will be automatically be adjusted. - Tv mode: prioritizes the shutter speed (you will learn about this in tip #2), which means that the aperture / f-stop is going to be adjusted by the camera. - M mode: here you can set both the aperture and the shutter speed to your own liking. F-what? I can’t really explain what it is, but I can explain what changing the settings does. Each lens has a shutter and if you press the release button to take a picture, it opens to let the light onto the “film”. The F-stop can influence how wide the shutter opens, which in turn means it influences how much light gets onto the “film”. Makes sense? Think of your eye again – if it’s bright outside, you squint to avoid too much light getting into your eye. If it’s dark, you open your eyes as wide as you can to catch ever bit of light to see. Same with the camera. If you set the F-number high, like f/25, then the shutter won’t open all the way, which means it lets less light into the camera. So if you set the f-number really low, like f/2 (I ALWAYS shoot in this), it will get a lot more light. In dark areas, it makes sense to have the F low. The big issue is that standard lenses, that come with DSLRs, normally don’t go as low as f/2, but try and keep that number as low as you can. Mine goes down to f/1.8 because I have a lens that is specifically designed for that. I think standard lenses can go down to f/4 or at least f/5.6. I’ve already mentioned what the shutter is – it’s the cover that opens inside your camera to let light in. You can influence how wide it opens with the f-stop but you can also influence how fast/slow it opens and closes. Why is this important? Well, if it’s light outside, you blink fast, right? And if it’s dark, you try to avoid blinking as long as you can because the longer you keep your eyes open, the more light you catch. If it’s dark, it makes sense to keep the shutter open for longer to get more light in, BUT the issue is that when the camera is moved or the object moves, the picture gets blurry. So, like 1/10 – ‘cause it’s only a 10th of a second. Doesn’t sound long, but it can influence the blurriness. So unless you have a tripod, avoid that kind of thing (and play around with ISO and F-stop settings instead). But if it’s bright outside, you can set the speed faster – like 1/4000. A 4000th of a second means less time for light to get onto the “film”. Almost every camera (including compact cameras) have adjustable ISO settings options. What’s ISO? In layman terms, it’s the sensitivity of your “film” to light. So if it’s dark, you’d want your camera to be more sensitive to light to get the image light enough, right? So in this case you want to set the ISO settings as high as you can. In my camera’s case it’s 800. If it’s really bright, however, you want your ISO setting to be low (100). We think if the camera’s ISO settings are set to ‘auto’ the camera should be clever enough to adjust things, but it isn’t. Setting the ISO this way forces the camera’s light sensitivity, which is always good. I for one learnt this the hard way. I took pictures for my friend Abby’s graduation and they all came out too bright, because I had the ISO set to auto. If I had set it to 100 it might’ve made a difference. You know that yellow tinge you get on pictures you take at home when daylight starts to disappear? That is sooo annoying ‘cause the colours on the pictures change. That can be influenced with the White Balance settings, which even compact cameras have. Again, leaving at ‘auto’ sometimes doesn’t work. Cameras don’t have brains. How would they know that we definitely need to take a picture of this swatch and the colour needs to look true, right? So try and play around with that. At home, when daylight has disappeared, I shoot with a blue tinge, because that counteracts the yellow (yellow and blue are complimentary colours and cancel each other out, thus removing the yellowness). Not really sure how to explain this one, but as a rule of thumb, when you look through your view finder on the camera, you will see a little green line, like a scale, on the bottom. And when you press the release button half-way and move the camera around, you will see that there’s a dash that moves along that line. Basically, if the dash is on the left half that means your picture will be underexposed. So always try and aim for the middle or for the slightly to the right. With the exposure settings, you can generally influence things. If it’s dark, you wanna set it to +-something. And if it’s bright, you can set it to a negative number. PHEWWWWW. It’s a lot to learn really, isn’t it? Like I said at the beginning, having a DSLR (even the most expensive one) isn’t The key to great pictures. It takes a lot of practice and experimenting with your camera settings. 1 good picture on my blog means probably 10-20 pictures in different settings and angles. Now that I’ve had the camera for a long while I can kind of judge in advance at least what kind of range of settings I need. But Lodz, for example, who has only recently started taking my pictures, still struggles to get his head around it all. So I thought I can give you some help and share how I set my camera up 99% of the time. Oh, there’s so much more I could share, but let’s leave it at this, so you can digest it all and I will work on the next post about blog photography. Deal? Great post :) Seriously! So many bloggers don't understand these basics and they make a difference! do let me know how you get on please!! Thanks so much Kylie! I love your photography so it’s an honour to have you say these are great tips. I use my 50mm lens for outfits but the standard lens is good for product pictures and proper close ups. Yeah I’m still learning loads. Been very lazy and just keeping the ISO high but clearly not a good idea. cant read this properly because I’m in work but I love the tips!